word precipitevolissimevolmente which means “as fast as possible”? 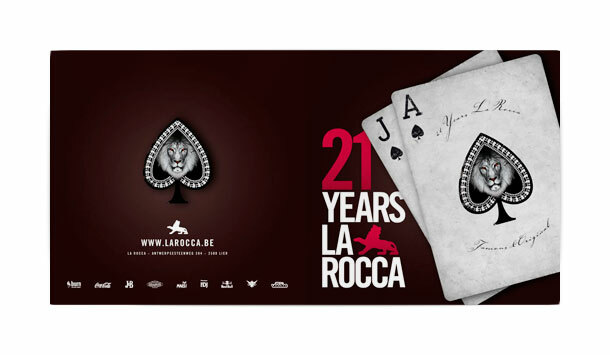 Like previous years Lab26 created the full campaign for La Rocca’s birthday. 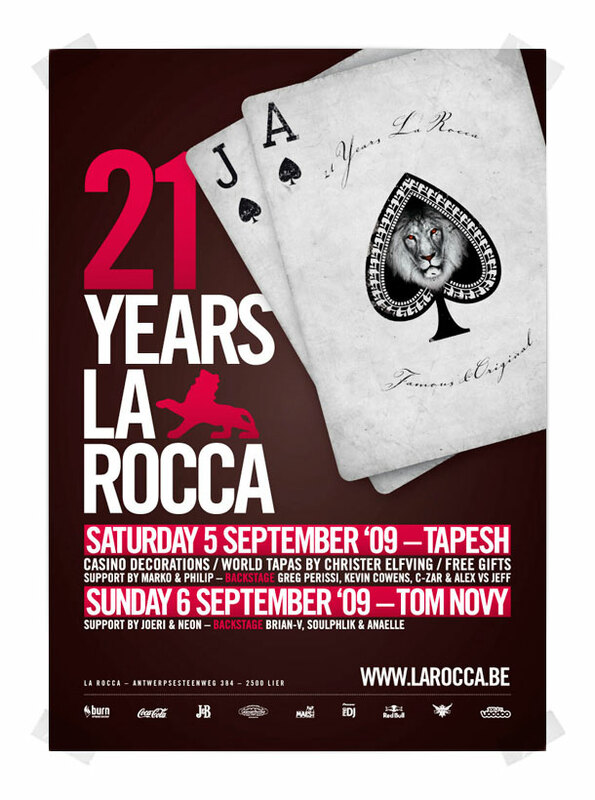 Everything from posters & flyers to national & international ads. 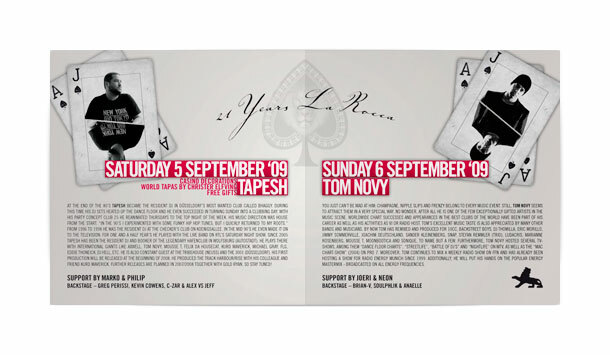 XL banners to promote the event at the location and a personalized playing cards set to be handed out on the night of the event.